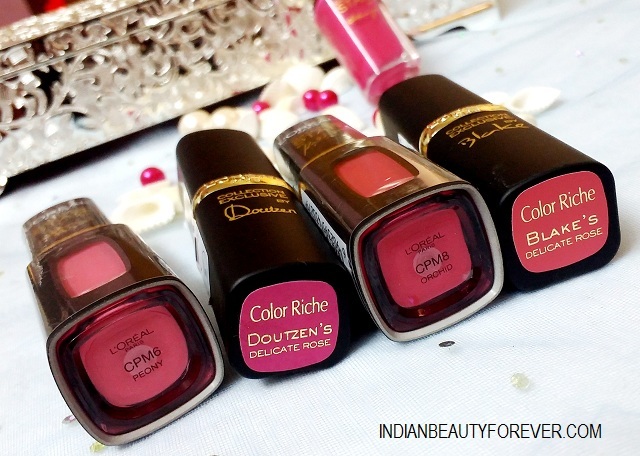 I have loved the Color Riche Collection Star Reds. I am still using those gorgeous red lipsticks. 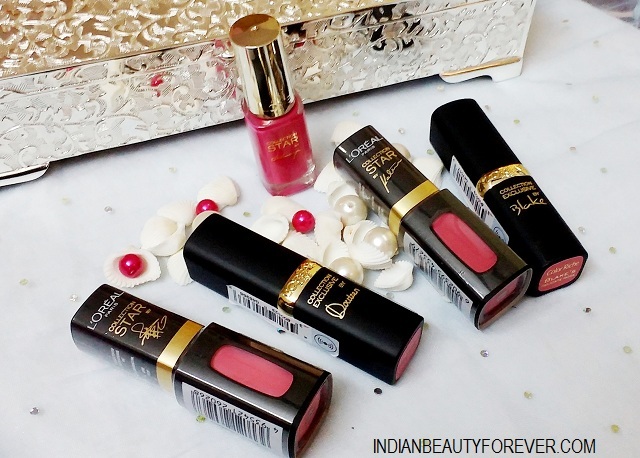 After that promising and enticing collection, L’Oreal Paris recently launched Colour Riche Collection Exclusive La Vie En Rose. This collection includes 12 custom made matte pinks. Like E​xclusive ​P​inks in L'Extraordinaire Mat and 3 vibrant pink nail polishes that are chosen by 12 iconic L'Oreal Paris ambassadors. These glosses are priced at 950. These matte lip glosses are truly amazing in formula and comes in gorgeous matte black plastic body with transparent area that shows the color of the gloss inside. I love the scent of these glosses as they are matte and smell really nice. The texture is buttery. I can get a rich color in a stroke and it doesn’t feel heavy at all on my lips. Staying span is a bit less as compared with the lipsticks but the good thing is that they don’t get patchy too quick. I already have 4-5 lip gloss from L’Oreal Paris and these have truly matte molten butter like texture which makes them worth trying. 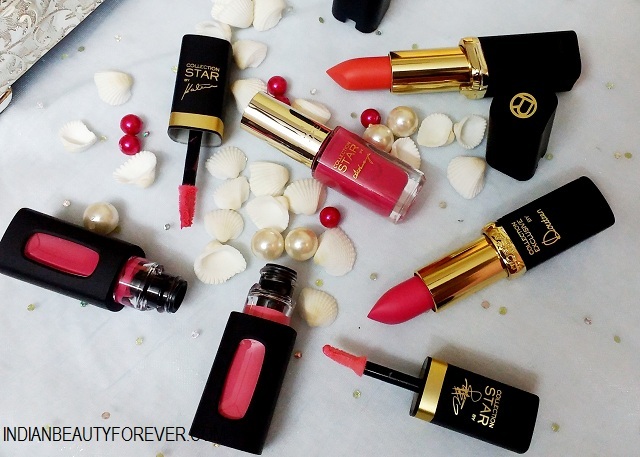 These are available in 5 different shades of pinks chosen by Julianne, Fan Bingbing, Gong Li, Katrina and Sonam. It’s a shade which can be a natural pink but the color can’t be pulled off by a lot of girls honestly since the shade is a cool shade and slightly pale for most of the Indian skin tones. It can wash out dusky skin tones but would look great on the fair skinned beauties. You see this is why there is a shade of pink that looks best on your skin color. Katrina's pink is a shade which can be called as a medium pink. Such colors are very flattering on our olive skin tones. It is not too pale that can wash out the skin tones. 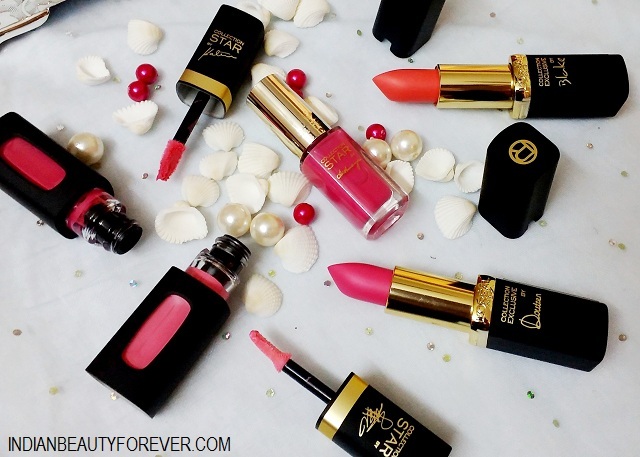 These lipsticks are matte finished in texture and are very creamy. I like the rich pigmentation and the way they glide on the lips. 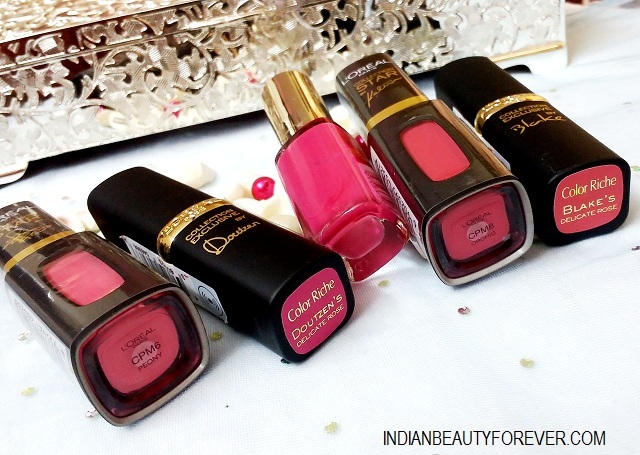 These lipsticks are priced are 995 rupees each. 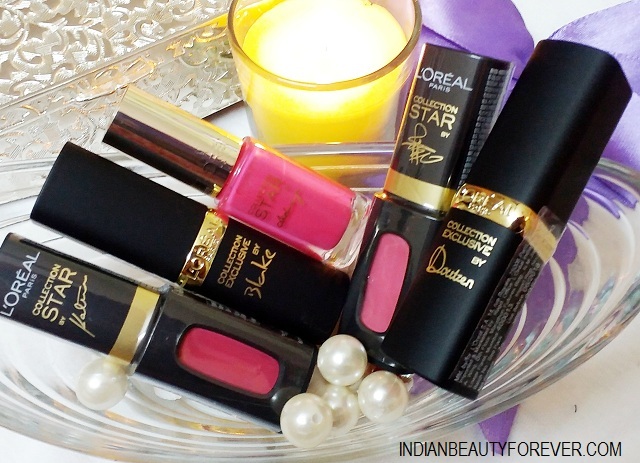 There are 7 shades that are being chosen by the 7 Brand Ambassadors of L’Oreal Paris. These lipstick stays a lot longer on the lips and have a great pigmentation. I ahve teh following 2 shades out of the 7 shades. It’s a bright pink with blue undertones. Such pinks look flattering on medium skin tones and fair skinned girls. I like such blue based pinks as they look good against my complexion. Blue based bright pinks also brightens the face. 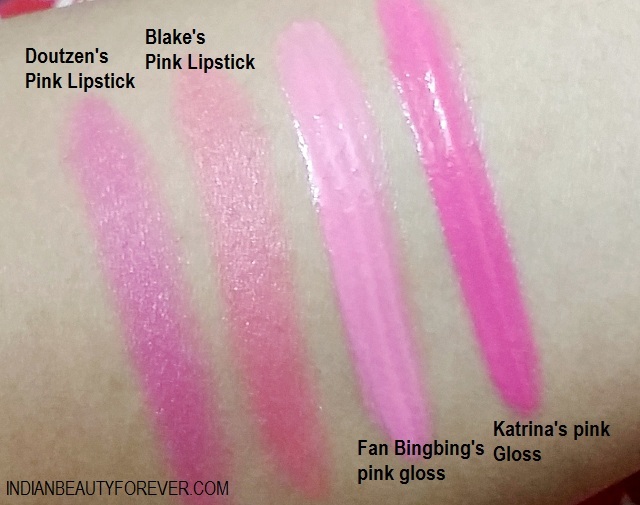 Blake’s pink is a very Coralish looking pink. A corally pink looks lovely on most of the Indian skin complexions since the color barely wash medium skin tones. Even the dusky girls an pull such colors. These nail paints are launched in 3 different shades of pinks and all the three shades are chosen by our Indian Brand Ambassadors of L’Oreal Paris like Katrina, Aishwarya and Sonam. I have this pink nail polish by Aishwarya and this is such a great looking beautiful pink. I loved this bright pink. It’s a color that I would love to flaunt in summers. These nail paints are priced at 299 rupees in India. Overall, I liked the collection. The packaging is beautiful and classy looking. The price is similar to that of the previous collection but some may feel that it’s a bit high but for the beautiful packaging and various shades of pinks, I feel the collection is truly enticing and worth trying. In fact such a collection can also be a part of your wedding trousseau like where you can pick some from the Collection star pure reds and some from the La Vie En Rose Collection.